Make presentations memorable with Legacy's Conference collection! Legacy's patented modular conference tables grow with the size of your team. Measuring 12 feet long, this racetrack style table seats 10-12 people and is finished in an attractive Cherry laminate. Adjustable glides on the bottom of the base keep the tabletop level and are easy to adjust. A Power and Data Port makes tabletop connectivity easy. The Power/Data port includes (2) USB 2.0 ports, (2) USB charging ports, (2) AC 125V 60Hz outlets, (1) front/rear ethernet port, (1) front/rear phone port and has a black cover plate for a neat, clean look. The Legacy collection is constructed of a 1-inch thick thermal fused melamine laminate with a 3-millimeter commercial grade matching PVC edge. Laminates are scratch, stain and burn resistant. Legacy casegoods are backed by a 10-year limited manufacturer's warranty. 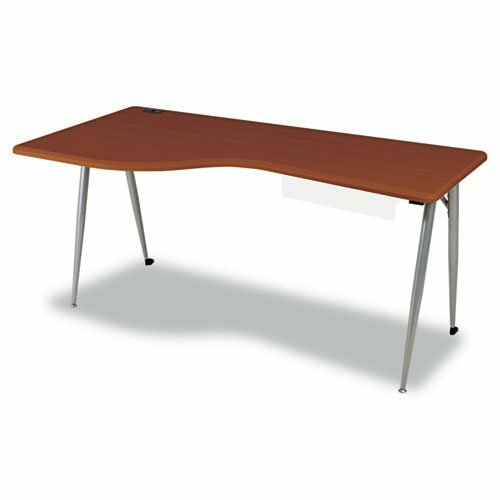 OFM 55103-CHY-OFM 55103 modular table offers a multi-purpose solution perfect for office, learning, or training spaces in a sleek, modern style. Put multiple tables together for a Group learning/working environment. The 24" x 48" thermo fused melamine top features self edge banding for a finished look and a grommet for wire management so you can keep cable clutter to a minimum. 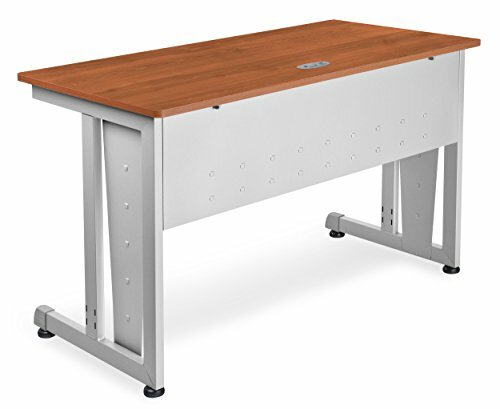 The industrial strength steel frame can hold up to heavy use, and features accent panels on the legs and a powder coated, scratch resistant finish. Best of all, assembly is a breeze - innovative snap-and-lock technology means no tools are required for assembly. This table includes leveling guides for added stability. Additional accessories including casters, back and side privacy panels, CPU shelf, and pull-out keyboard tray are all available (sold separately). measures 29.5" high. This 55103-CHY-OFM meets or exceeds industry standards for safety and durability, and is backed by OFM limited lifetime warranty. OFM 55111-CHY-OFM 55111 modular table offers a multi-purpose solution perfect for office, learning, or training spaces in a sleek, modern style. Put multiple tables together for a Group learning/working environment. The 24" x 48" thermo fused melamine top features self edge banding for a finished look. The industrial strength steel frame is powder coated in a scratch resistant finish and can hold up to heavy duty use. Best of all, assembly is a breeze - innovative snap-and-lock technology means no tools are required for assembly. This table includes leveling guides for added stability (optional casters available, sold separately). measures 27.5" high. This 55111-CHY-OFM meets or exceeds industry standards for safety and durability, and is backed by OFM limited lifetime warranty. Bring your next meeting to order with Bush Business Furniture Aspen Tables. 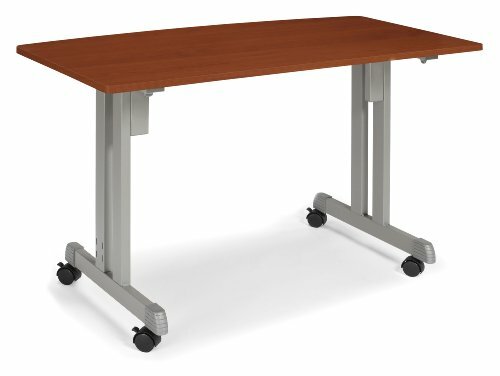 The Hansen Cherry finished 48W x 28-1/2D Rectangle Table is a freestanding table that allows for multiple configurations and accepts our Universal Keyboard Shelf. Professionally constructed with 100% thermally fused laminate for durability and superior resistance to scratches and stains. Sturdy PVC edge banding on work surface resists collisions and dents, plus the finished underside prevents snagged clothing. 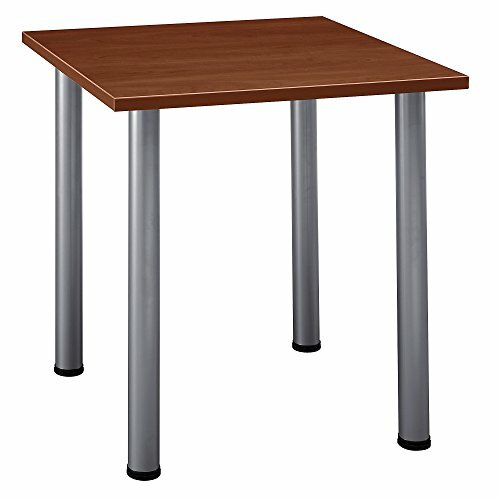 Aspen Tables are supported with strong metal post legs which include convenient leveling glide. 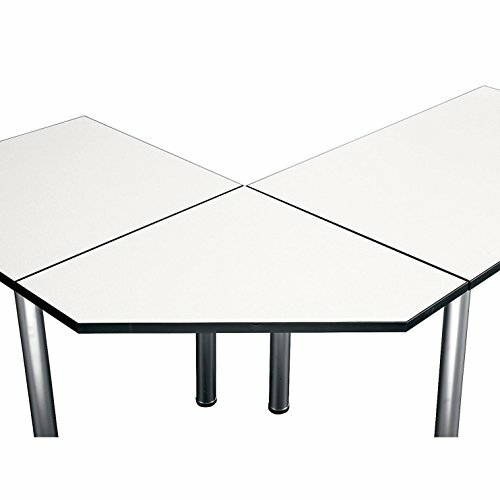 When you need to outfit a meeting room, conference room or training space, our tables are up to the task. Solid construction meets ANSI/BIFMA standards for safety and performance in place at time of manufacture. 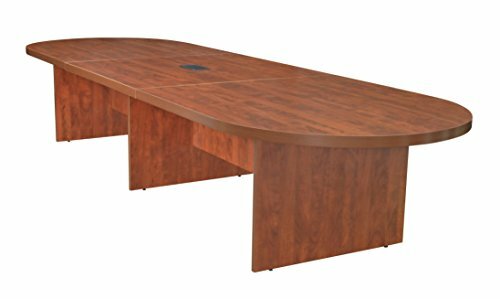 Each Aspen Conference Table component is quality backed by Bush Business Furniture 10 Year Commercial Warranty; GSA approved. American made with U.S. and imported parts. 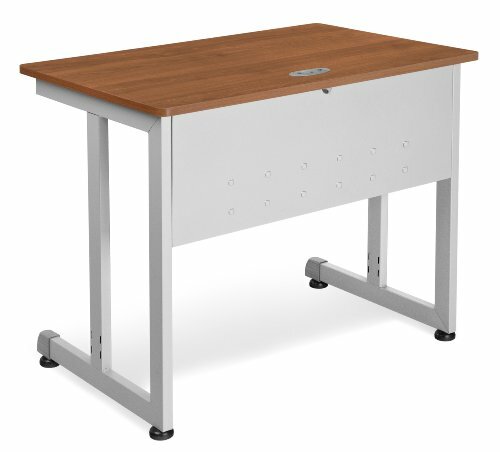 OFM 55139-CHY-OFM 55139 modular table offers a multi-purpose solution perfect for office, learning, or training spaces in a sleek, modern style. Put multiple tables together for a Group learning/working environment. The 24" x 36" thermo fused melamine top features self edge banding for a finished look and a grommet for wire management so you can keep cable clutter to a minimum. The industrial strength steel frame can hold up to heavy use, and features a modesty panel and a powder coated, scratch resistant finish. Best of all, assembly is a breeze - innovative snap-and-lock technology means no tools are required for assembly. This table includes leveling guides for added stability (optional casters available, sold separately). measures 29.5" high. This 55139-CHY-OFM meets or exceeds industry standards for safety and durability, and is backed by OFM limited lifetime warranty. With logical design and modern good looks, the iFlex Modular Desking provides the ultimate in flexibility for designing your office, conference room, or board room. Ergonomic and attractive curves create workspace comfort and allow multiple configuration options. Easy to set up, break down and rearrange to suit your needs. Available in cherry wood grain vacuum-formed PVC with silver legs. Grommets included on large desks for easy cable management. Assembly is easy and tables are a snap to move with stable glides on front legs and swivel casters on back legs. Ganging device included to join tables together. Tables tested to support up to 300 lbs. Optional accessory pieces available to finish any work environment include a three-drawer file cabinet (bottom drawer accommodates a standard hanging file rack), desktop privacy panels to provide separation for open office settings and accessory storage trays for privacy panels. Large Desk - Left. 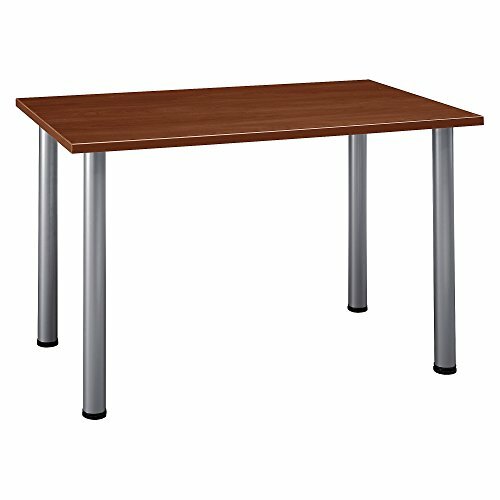 Looking for more Cherry Modular Conference Table similar ideas? Try to explore these searches: Dye Black Shorts, Mitsubishi Galant Engine, and Crocheted Rosette. Look at latest related video about Cherry Modular Conference Table. Shopwizion.com is the smartest way for online shopping: compare prices of leading online shops for best deals around the web. 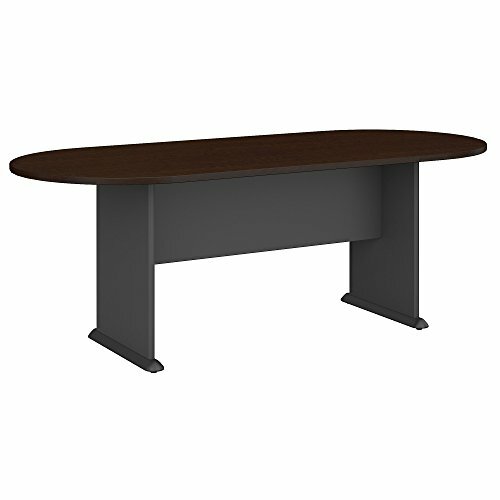 Don't miss TOP Cherry Modular Conference Table deals, updated daily.